I am going to Akademy this year. It will happen in Vienna, Austria between August 11th and August 17th. I will talk there about my experiences during Season of KDE 2018 and Google Summer of Code 2018, explaining my work and progress in KDE Partition Manager, kpmcore and Calamares. This will be a great opportunity to meet people from KDE Community, share ideas with them and know more about some other KDE projects. I am sure that it will inspire me a lot as an open source contributor. > work and progress in KDE Partition Manager, kpmcore and Calamares. Parabens pela sua conquista. 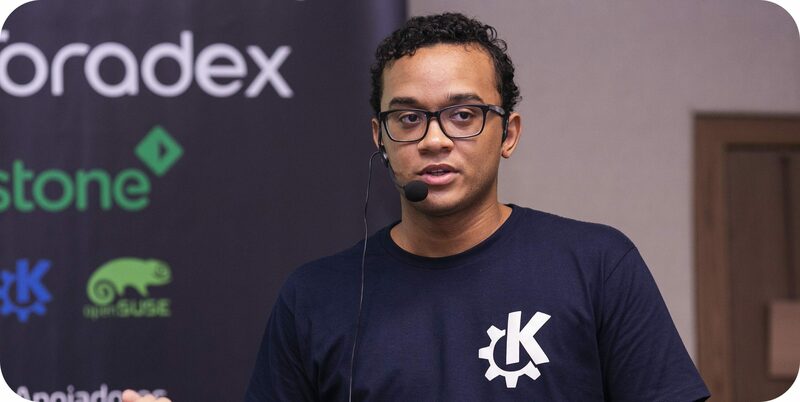 Sou um entusiata do código aberto, e gostaria de saber como contribuir com o KDE, pois tenho muito interesse em colaborar para o crescimento do plasma. Boas experiências la na Áustria.